A few weeks ago I posted a recipe on Baharat, a Middle Eastern spice blend. 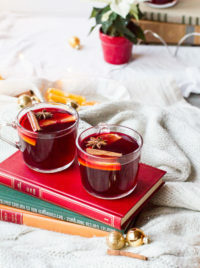 It’s so so delicious, but what do you make? 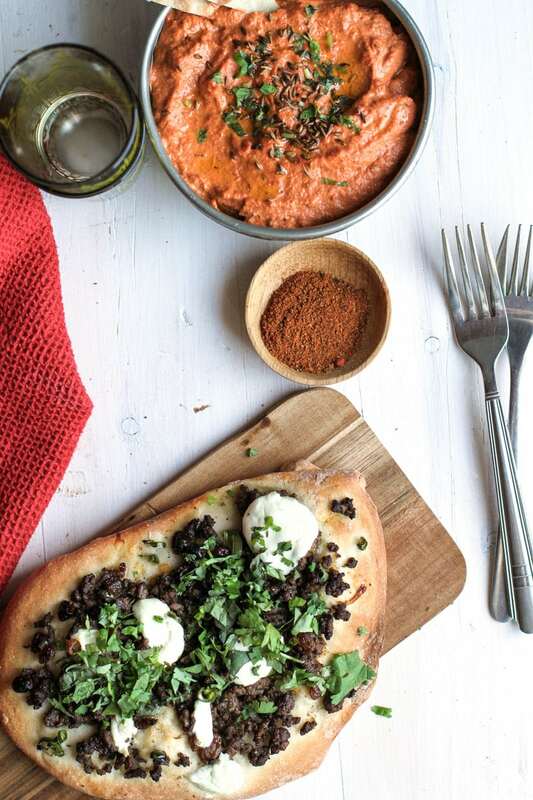 You could make these Middle Eastern Flatbread! 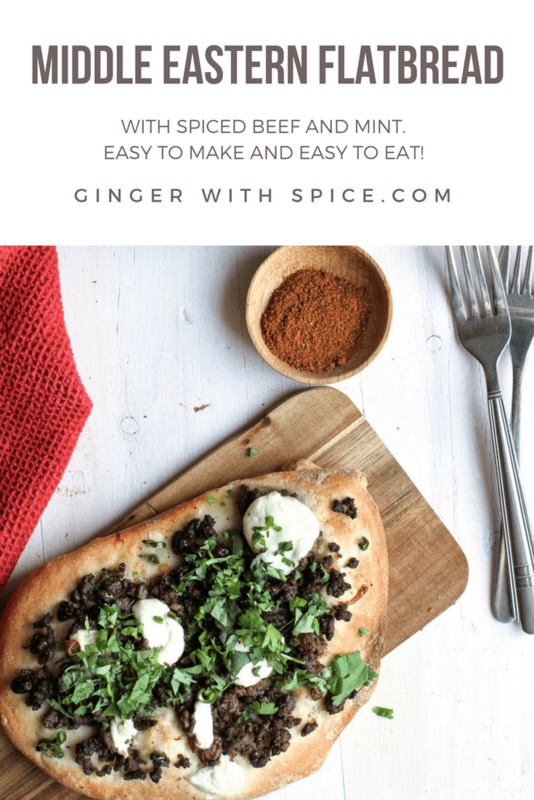 I’ve been busy cooking up some Valentine worthy dishes lately (check here and here), but now I’m ready to show you these super delicious Middle Eastern Flatbread. It’s almost like a pizza, cause the flatbread isn’t all that flat really. But it’s tasty. I do have a struggle in separating Middle Eastern and North African dishes. I think they use many of the similar ingredients in the same way. 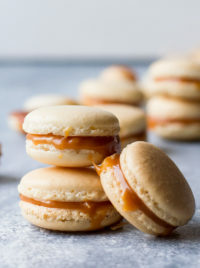 Don’t arrest me on this, because I think they’re equally delicious. I’m sure you could use baharat in Moroccan dishes too! But back to these Middle Eastern Flatbread, or Lebanese flatbread. It’s easy to make, easy to store and easy to eat! Gone in a flash! The sultana raisins add for a very interesting layer of flavor. You can substitute with regular raisins if you’d like, but it’s not exactly the same. 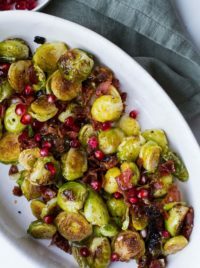 The sultana raisins are yellow and sweeter than regular raisins (also called golden), but both are juicy and so yummy in this dish. You can add and subtract whatever you want, it’s a kind of pizza after all. However, I highly recommend adding baharat, you could probably find it in Asian or Middle Eastern stores if you don’t want to make your own. You can also buy it here. I’d also highly recommend the yoghurt, it adds a freshness that I think is highly needed on a pizza. I was supposed to make this with lamb, as I rarely eat lamb, but why not? I’ll tell you why, because I can’t find lamb in the stores here. Right, it’s totally uncool. 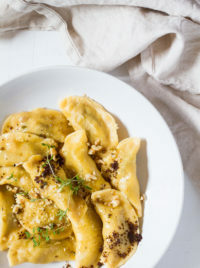 I found minced lamb in the store a few months ago, and thought to myself that I needed to find a kickass recipe with lamb. I found the kickass recipe, and then there’s no lamb. The struggles of small towns in Norway. And it’s not even small in a Norwegian scale. So, back to beef. But if you want, I’d love to hear how you thought of it using lamb! Beef was super tasty, I only wish I had more of the filling on because YUM. 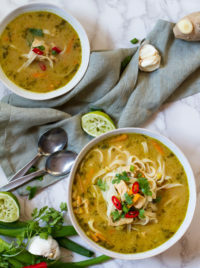 This recipe is adapted from Delicious Magazine. Begin with the dough. Add the dry ingredients to a bowl. In another bowl, dissolve the yeast in warm (37C/98F) water. Make a well in the center of the flour mixture and pour in the watered yeast. Mix to form a soft dough. The dough should be smooth and elastic and just letting go of the bowl. Divide into 4 equal parts, place on a baking tray, cover and leave to rise for around 1 hour. The balls should double in size, so just give it time. Add oil to a heated skillet, add in chopped shallot, garlic and spices and fry for around 2 minutes. Add the minced meat and brown the meat completely. Pour in the chicken stock and sultana raisins and bring everything to a boil before reducing it to a simmer for 20 minutes. The stock should be almost completely evaporated, just keep going if not. Taste and season with salt and pepper. Cool. Heat the oven to as high as it will go and leave an (empty) baking tray in it to make sure everything will be piping hot when ready to bake the flatbread. Roll with a rolling pin each ball on a lightly floured countertop, until about 20cm x 15cm, 5mm thick. Yes I actually took out a ruler to check the measurements. However, by the second one you’ve kind of figured out the size by sight. 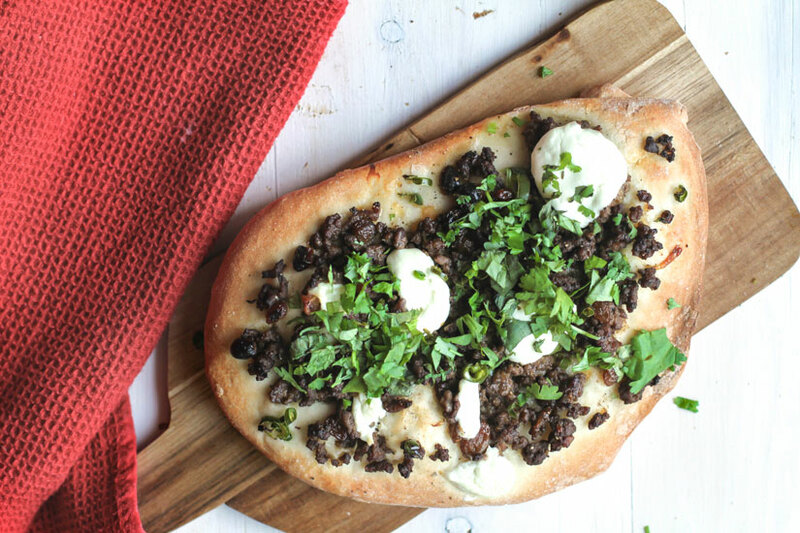 Top each flatbread with the beef topping, scatter with yoghurt and green chiles. Add a little more beef than you think, because the flatbread will rise a little. Bake in the oven for around 6-10 minutes, depending on your oven. It should be golden and crisp. Top your Middle Eastern Flatbread with cilantro and mint leaves, scatter with a little bit of fresh yoghurt and serve immediately! I thought it delicious with some fresh salad next to it. 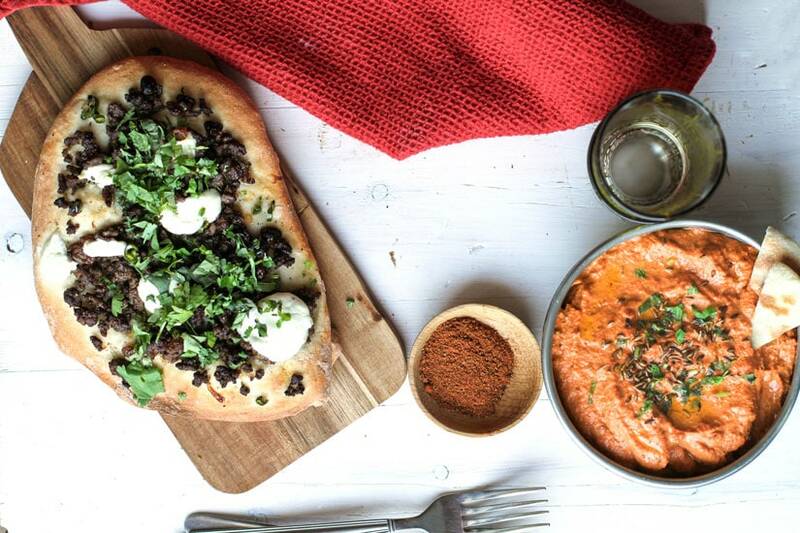 And maybe a little bit of muhammara…? Recipe coming sometime soon! Remember to check out my other Middle Eastern recipes (links above). And I’d love to hear how you thought this recipe went! Did you try it with lamb or beef? Regular raisins or completely different toppings? Let me know in the comment section below, or tag me @thegingerwithspice on Instagram and don’t forget to Pin it for later! 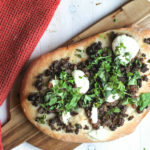 Middle Eastern Flatbread with Spiced Beef and Mint, which is easy to make, easy to store and easy to eat! Gone in a flash! Add the dry ingredients to a bowl. In another bowl, dissolve the yeast in warm (37C/98F) water. Make a well in the center of the flour mixture and pour in the watered yeast. Mix to form a soft dough. The dough should be smooth and elastic and just letting go of the bowl. Meanwhile the dough is rising, make the filling. Add oil to a heated skillet, add in chopped shallot, garlic and spices and fry for around 2 minutes. Add the minced meat and brown the meat completely. Heat the oven to as high as it will go and leave an (empty) baking tray in it to make sure everything will be piping hot when ready to bake the flatbread. 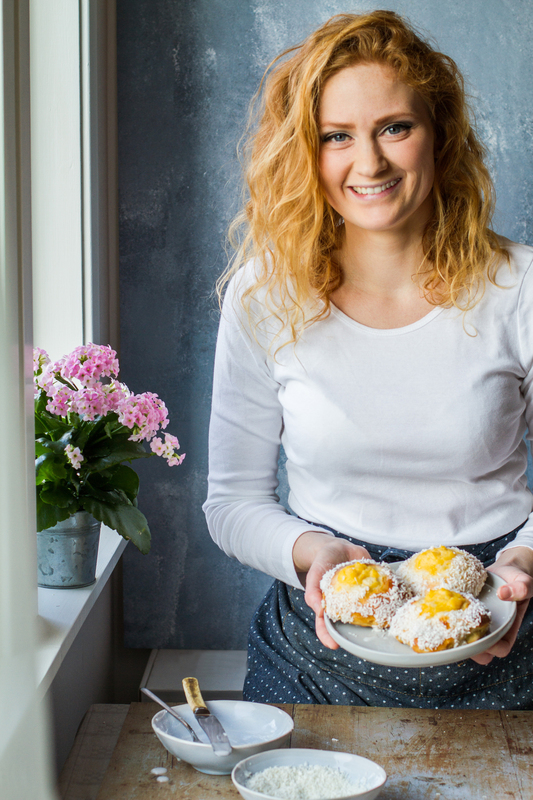 Roll with a rolling pin each ball on a lightly floured countertop, until about 20cm x 15cm, 5mm thick. Top with cilantro and mint leaves, scatter with a little bit of fresh yoghurt and serve immediately! I thought it delicious with some fresh salad next to it. Did you make it? I'd love to see it! 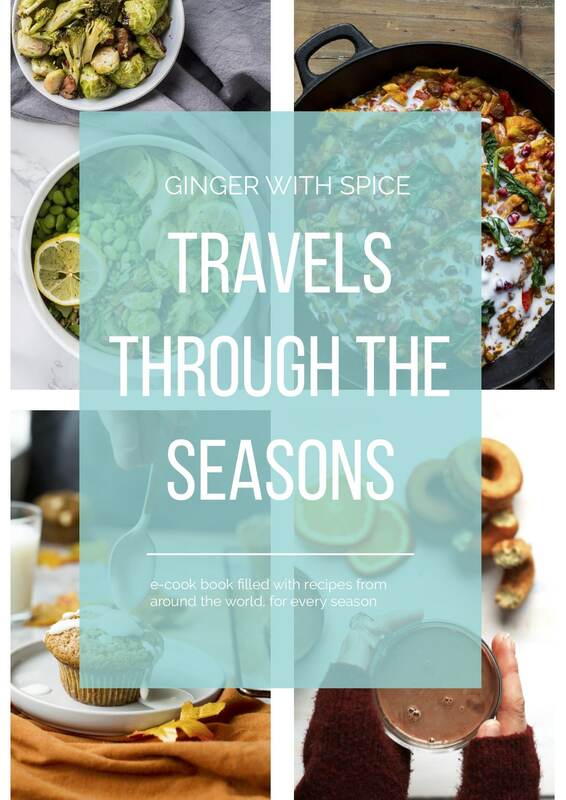 Tag me @thegingerwithspice on Instagram. 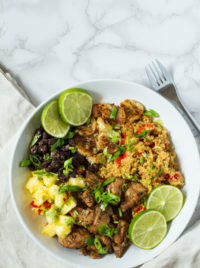 Yum this looks so good! I’ve never met a flatbread I didn’t like.